While it is amazing to watch extreme couponers get $2,000 worth of groceries for less than $100, the reality is that for most of us, all of the techniques of extreme couponing just can’t be sustained. Spending five or six hours a day working on coupons or turning your house into a small supermarket just isn’t practical for most of use in the long term. Plus as recently come to light, some of the people who practice extreme couponing can only get the extreme savings that they do by practicing coupon fraud. How then can you get the benefits of extreme couponing without all of the drawbacks? Taking things step by step is much better in the long run. You can decide how much you can do and are willing to do along the way when you break things down into steps. 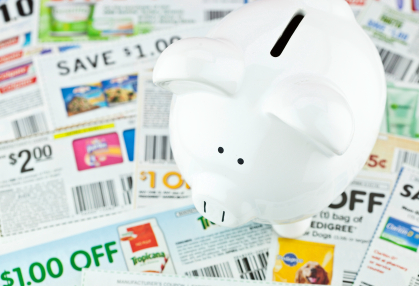 Here are some practical tips for how to do extreme couponing in the real world. Using coupons and matching them to sales does save money. Don’t give up. Start with a small goal, such as saving 10-15 percent at first. Start with using coupons on the things that you buy anyway. As you gain experience with using coupons, start paying attention to the store sales flyers. See what items are listed on the front and the back pages. These are known as the loss leaders, heavily discounted groceries that are meant to get you into the store. Check your coupons and see if you have any coupons for these loss leader products, you’ll automatically increase your grocery savings to 20-30 percent. Doing rebates and rewards in addition to coupons and sales can gain you another 5 percent in savings. The next step to Extreme Couponing is to build up a reasonable stockpile of items when you match coupons, sales, rebates and rewards. As you start getting things for free or at a rock bottom price, buy enough to last you until the next sale. This doesn’t mean that you will need a storage facility for your groceries, but having a pantry and a freezer will give you an area to stock certain items. Start with items that don’t expire, such as paper towels, until you learn how often you go through other grocery items that have expiration dates. In order to stockpile, you’ll need multiple copies of the same coupon. Decide how far you are willing to go to get extras, from asking friends for coupons to buying them from clipping services. By stockpiling, you’ll never have to pay full price for most of your groceries, with maybe the exception of fresh produce and dairy items. This step will increase your grocery savings to 50 percent or more. As you get used to using coupons and learn all of the tricks, it will soon become apparent how much time, effort and money to invest in extreme couponing. In the beginning, many people find themselves obsessed with getting deals, but it is much better to find a place where you can fit it into your life and save some money without going to the extreme.